UQ School of Music graduate Tim Munro won his third Grammy, taking out the 2016 Award for Best Chamber Music Performance, for his work in the chamber ensemble ‘eighth blackbird’. Tim was the flutist and co-artistic director of the ensemble from 2006 - 2015. As a member of eighth blackbird, Tim performed at major concert venues in America and around the world, worked as soloist with America’s finest orchestras, curated three music festivals, and premiered more than 100 new works, including Steve Reich’s “Double Sextet” (Pulitzer Prize winner, 2009). 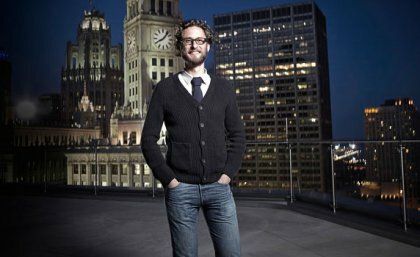 Tim left eighth blackbird in June 2015 “to wander more diverse creative avenues” and to spend more time at his home in Chicago. Recent work includes commissions from Chicago post-punk guitarist Dave Reminick (a wild and whimsical work for flutist-singer) and Pulitzer prize-finalist Chris Cerrone (a major solo work exploring extreme acoustic spaces), playing with the Chicago Symphony’s MusicNow series and Australia’s Stradbroke Chamber Music Festival, writing for Australia’s Limelight Magazine and the Sydney Symphony, and teaching at Grand Valley State University and the Queensland Conservatorium. Tim is co-music director for a large-scale project taking place in 2017 in both Chicago and Brisbane, involving 1000 performers. An experienced and energetic teacher, Tim has appeared as a guest lecturer at more than 50 universities across America. He holds adjunct appointments at both The University of Queensland and the Queensland Conservatorium at Griffith University.